12.625"D x 18"W x 7.125"
Newly redesigned sealed drain system: grommets have been replaced with our Exclusive H2OtoGro® drain that features a water-tight and secure bulkhead assembly and garden hose connection. Makes system changes much easier and eliminates the need to move systems while still full of water. Exclusive H2OtoGro® blue tube water level indicator with watertight bulkhead assembly. This is far superior to the standard grommet/barb combo used by other manufacturers. 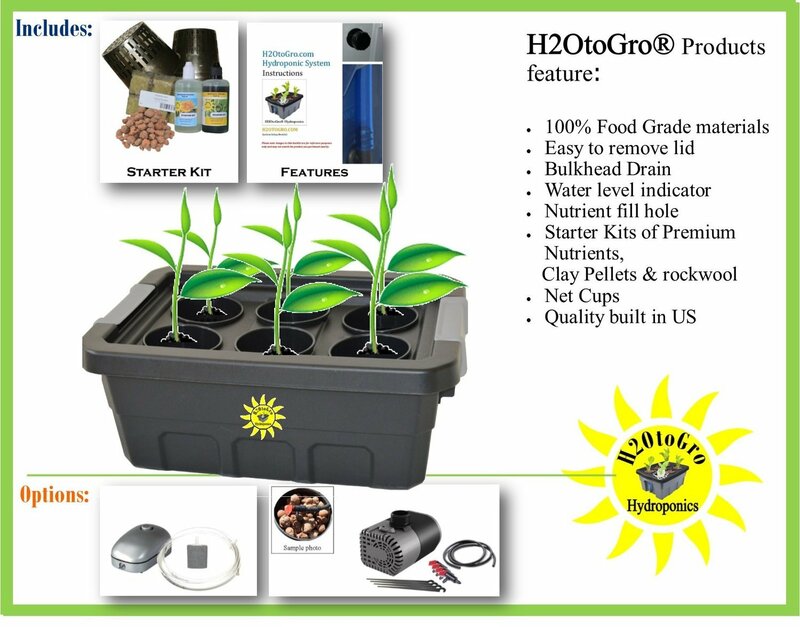 Self-watering (Top Feed) Kits (submersible pump, water lines, drippers, and stakes.